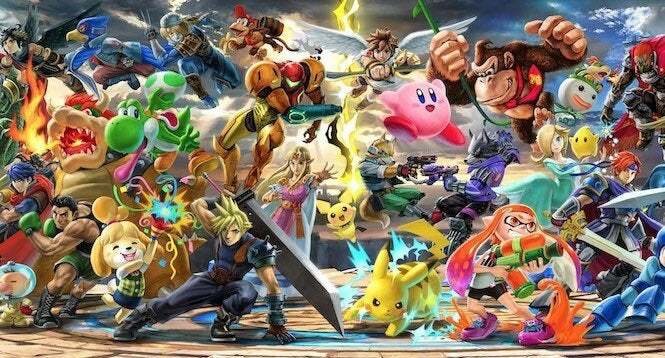 So by now, you may have heard about how a few lucky gamers have managed to already get their hands on Super Smash Bros. Ultimate, thanks to some retailers in Mexico selling retail copies two weeks prior to release. But that’s also created an interesting conundrum for gamers, as several people have begun leaking out details about the game, including the World of Light story details, soundtrack samples and more. While some fans are excited for what’s to come, others are angry about being spoiled about what Ultimate will be offering -- particularly Nintendo. And as you may have learned from the past, to anger Nintendo is not a wise thing. Not in the least. Reports are pouring in from last night that the company has begun hunting down Smash-related content online, striking streams and videos alike with copyright claims and forcing their removal. In fact, two popular channels appear to have been taken down, mainly because users were actively spoiling the game with soundtrack samples and story clips. Crunchii and Dystifyzer, two popular YouTubers with over 70,000 subscribers apiece, found their channels shut down due to leaks of Super Smash Bros. Ultimate content. As a result, the channels will likely be taken down permanently sometime over the next week, even with the content already removed. And Nintendo isn’t done yet, as it’s hitting dozens of other videos with similar strikes. They are not messing around. Reports indicate that both of these channels were hit with over 20-plus copyright strikes, making them severe issues for YouTube. Oh wow, they're even taking down the songs that are being ported from previous Smash Bros. titles. Well yup, that's the end. Dystifyzer's youtube channel with all the Smash Ultimate Music got hit like Crunchii's did. Two 70k+ subscribed channels obliterated. This has left some interesting feelings in the gaming community. On the one hand, some believe Nintendo acted too harshly against these creators; while others believe they “deserve” what they got for spoiling the game days out from its release. What do you think? If you’ve got an early copy of Super Smash Bros. Ultimate, your best bet is to just enjoy it with you and your friends and try not to spoil it with others online. Just appreciate what you have, yeah?